It’s springtime here and I’m busy getting my garden and apple tree ready. 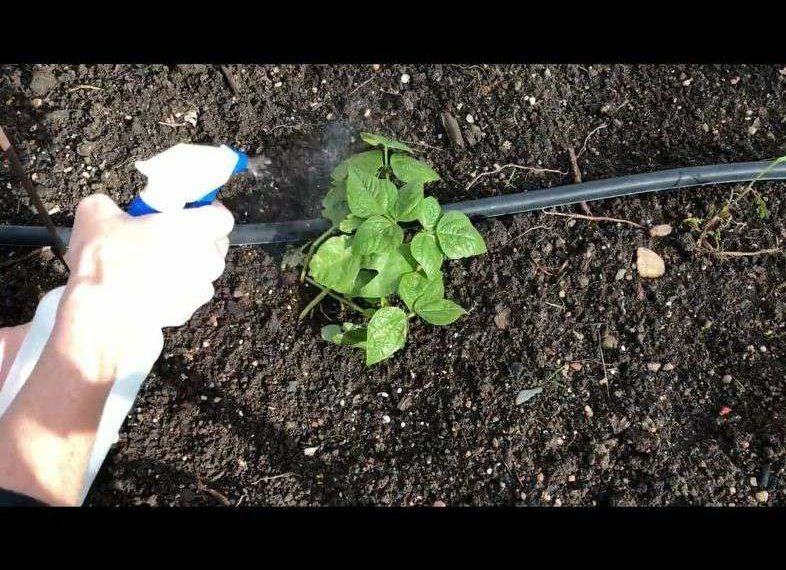 I get those pesky rabbits, squirrels, voles, aphids, and more in mine during gardening season – how about you? 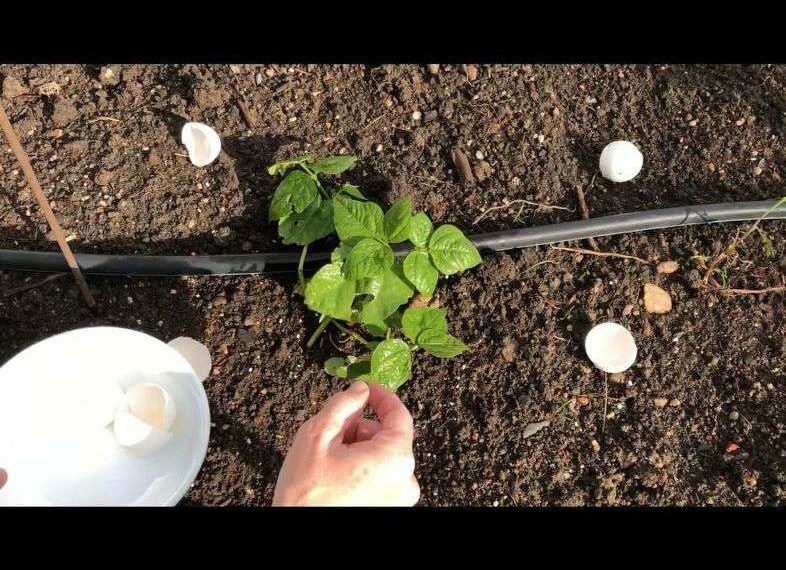 I thought I would share a few tips on things I use to keep those pests out of my garden. I’ve had my garden in this home for about 16 years now. We have learned if you have rabbit around, you’ll definitely want a fence that will keep them out! 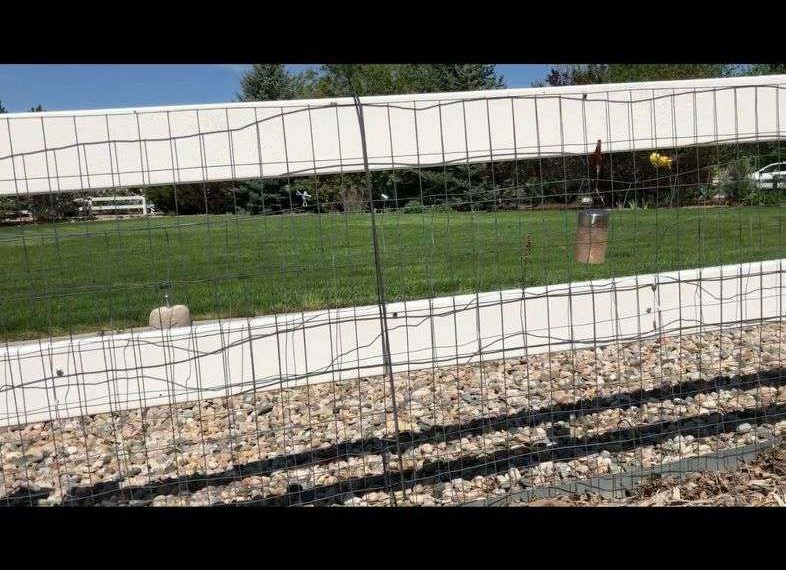 We bought this fence at our local hardware store and used screws and fence clips to attach it to our fence. 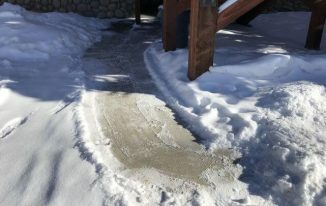 Don’t forget to block off gate entryways as well. I put a row of rocks on the inside of my gate so the pests cannot sneak underneath it. Marigolds are amazing flowers and give off a terrible smell deterring rabbits and deer. My grandma taught me to plant these in my garden. Animals don’t like reflective things and get scared by movement. 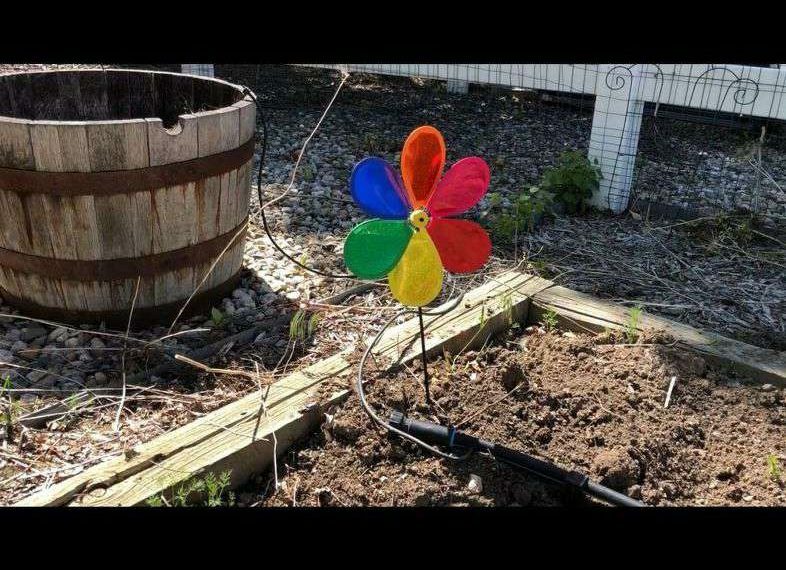 I put these simple pinwheels that I find at Dollar Tree to put in my garden to keep pests out. Irish Spring Soap will deter pests like rabbits, deer, mice, voles… as they don’t like the smell. 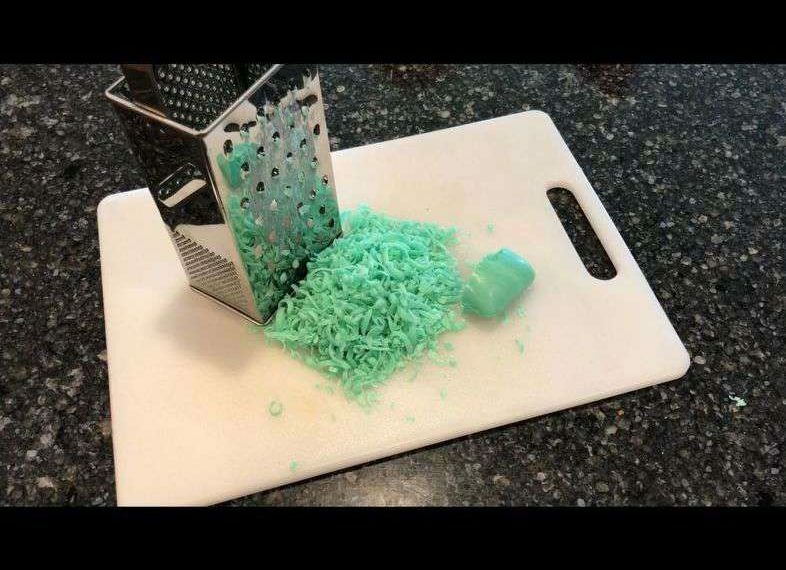 I grate up some soap with a cheese grater. 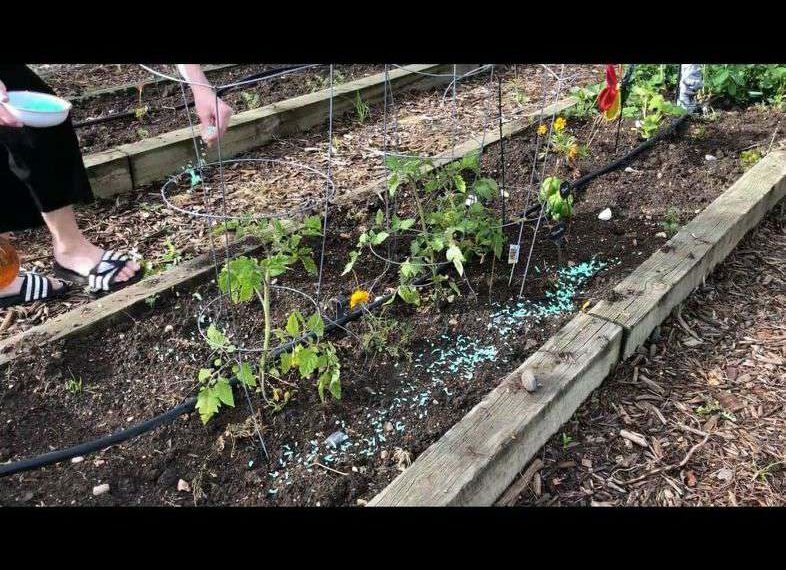 Sprinkle the shredded soap around your garden &/or flower beds. 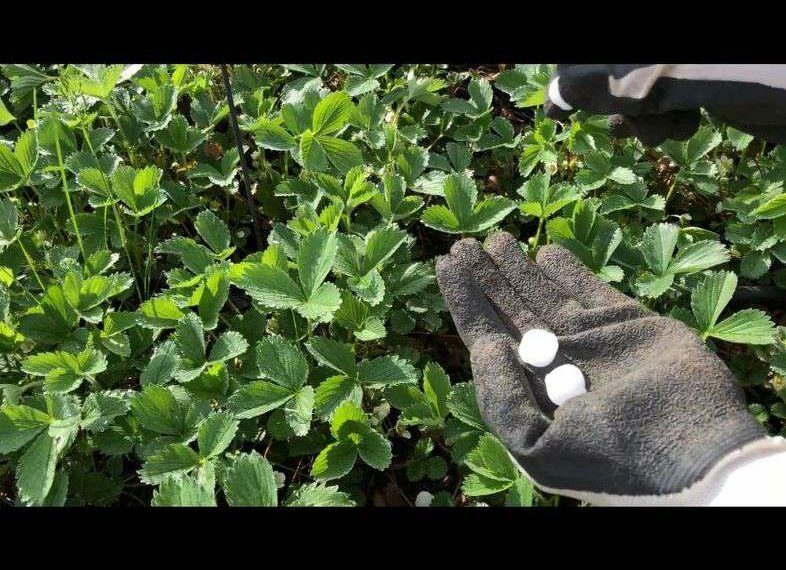 Put egg shells in your garden – why? It’s said to deter deer, birds eat them thus keeping them out of our plants, and they add calcium to your garden as they decompose. I use them to deter slugs, this has gotten mixed reviews but it seems to work for me. 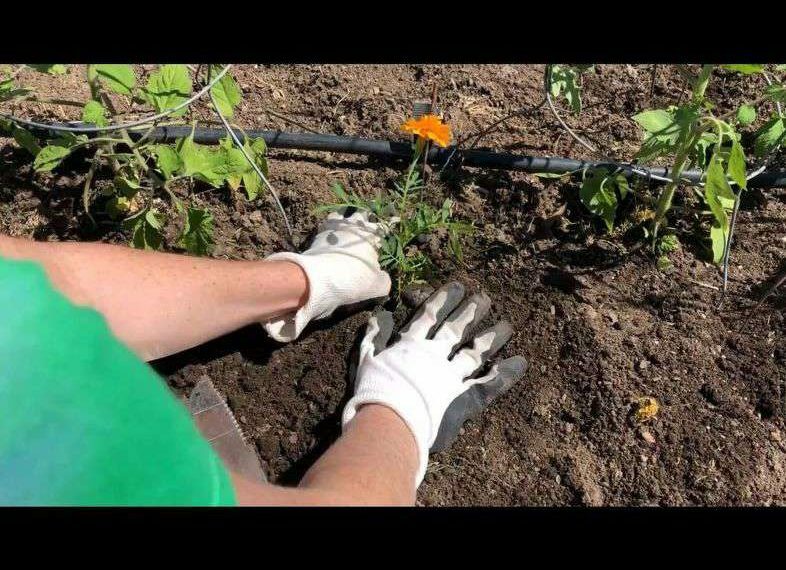 I get voles in my both my vegetable and flower gardens almost every year. To keep them out I have learned to add moth balls to my gardens and it seems to keep them away. They don’t like the smell. Sprinkle red pepper flakes in your garden. It’s known to deter rabbits, deer, skunks, raccoons, cats, dogs. It irritates their lungs and skin, and it will deter not harm animals. Keep nocturnal animals away by adding solar lights to your garden. 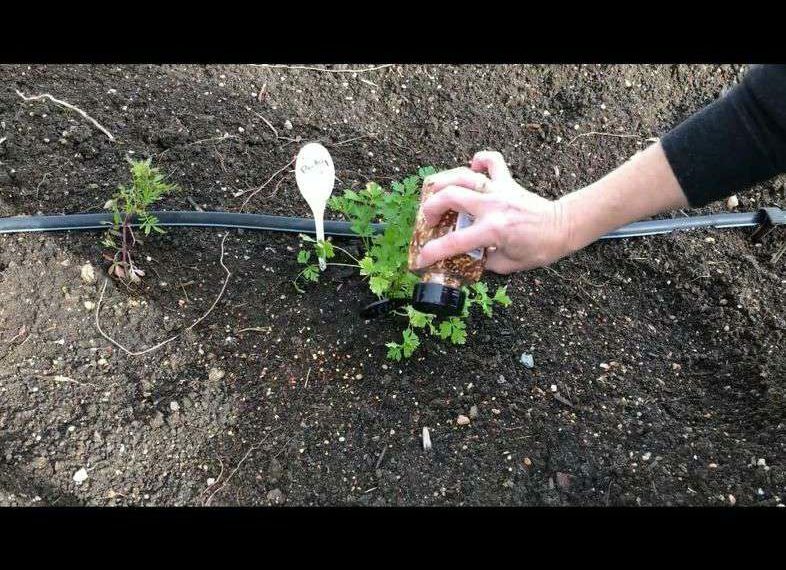 Feed those pests somewhere else to keep them away from your garden. 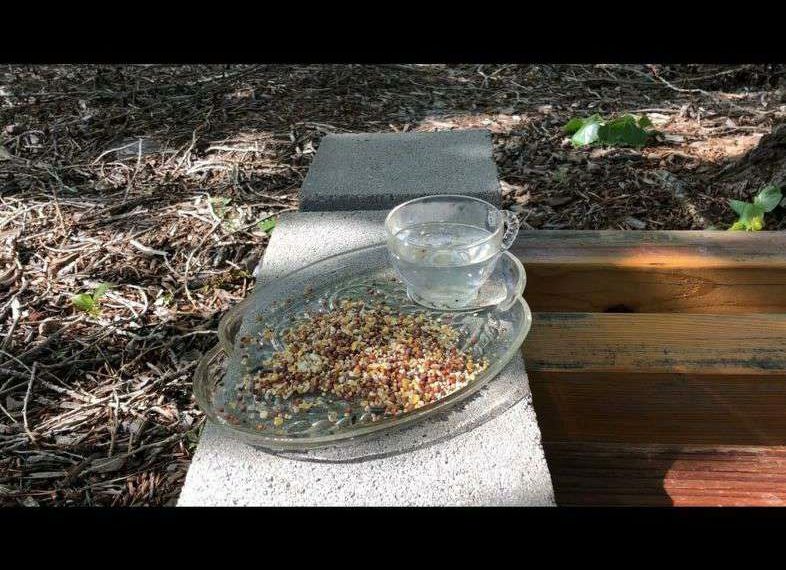 I made this bird feeder by E6000 a cup to a plate. I put water in the cup, and birdseed on the plate. 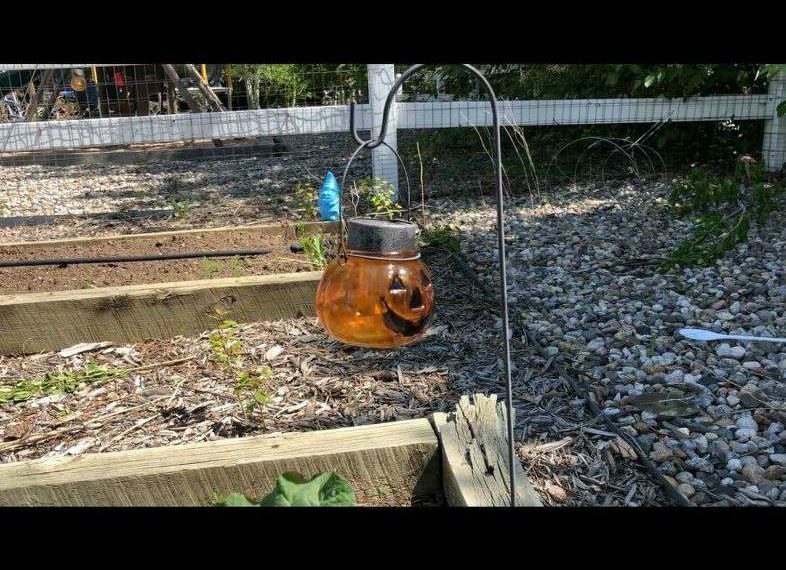 This keeps the birds away from my garden. 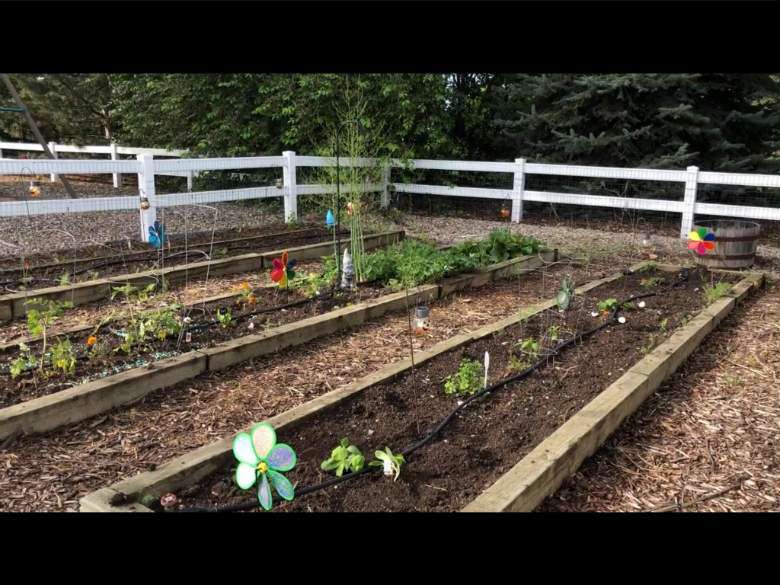 You can set scraps of lettuce and other items away from your garden for other animals too. They’ll get used to eating there so they won’t have to go scavenge in your garden. The squirrels in my apple tree make me crazy! 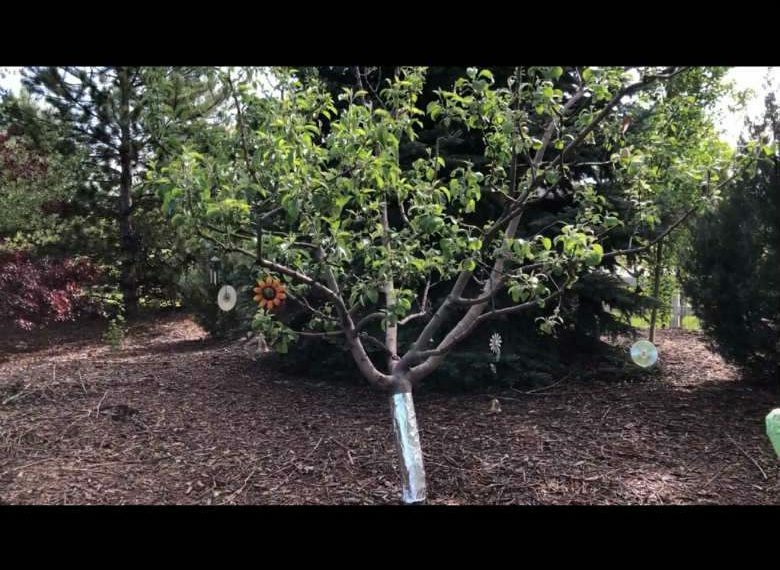 They eat the bark off in the winter when they need food (as do rabbits), and they eat one bite out of an apple and throw it on the ground. GRRR. So I wrap the base of the trunk in tinfoil. This deters them from climbing up the trunk and they don’t like how it’s reflective. I also add these repurposed CD wind spinners along with bells, chimes, etc to my tree. 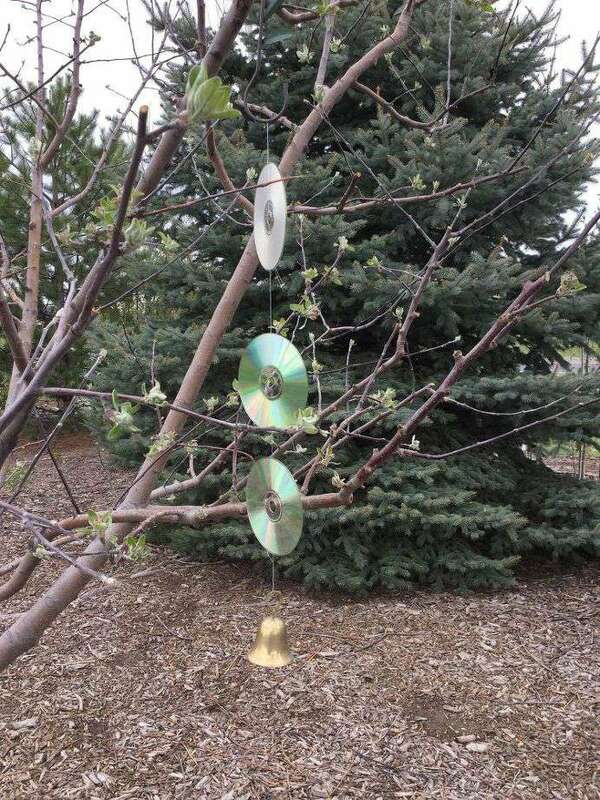 If the squirrels jump on a branch the bells ring scaring them away, and the cd spinners reflect the light as well as create movement which they don’t like as well. You can find my full tutorial here about these by clicking here. Now one tip I have is that animals will get used to the items you put in your garden to keep them out. I recommend moving things around every once and a while to change things up and throw them off. Sprinkler Mister House – Fun for Everyone! Hi Christine, I think that should be fine. I was told by another person that they use Ivory soap and that works for them. I’m so sorry to hear you are having trouble. I know it’s so frustrating. Wow, lots of great ideas! Thanks for sharing them. We have a lot of little flying bugs so I’ll bet the soap tip will help. Thanks Linda, and me too. Something already deteriorated my green bean plant so I’m starting over with that one. Thanks Linda and glad to know some of these ideas work for you as well. I hope the extra tips help too. Thanks for stopping by. If you leave a sports car or any other car in storage, definitely use the GREEN IRISH SPRING BAR SOAP. We STORED the car one winter, in the Spring wires were eaten by rodents. Insurance didn’t pay for the damage–$$$$ expensive lesson. We were told by a mechanic to grate shavings of Irish Spring soap, spread it all over the engine, on the wires and inside the vehicle—done this for years—NO EATEN WIRES OR DROPPINGS ANYWHERE NEAR THE VEHICLE. The vehicle smells so good in the Spring. Wow, I’m so sorry for your experience and so grateful to you for sharing. Thank you so very much. I was hoping that you had a solution for groundhogs, lol. Thanks for sharing your gardening tips. So many terrific ideas! Pinning as a resource! Thank you Michele and thanks for the Pin 🙂 I hope these tips can help you too. All great ideas that we use. Found you on Bloggers Pit Stop link party. 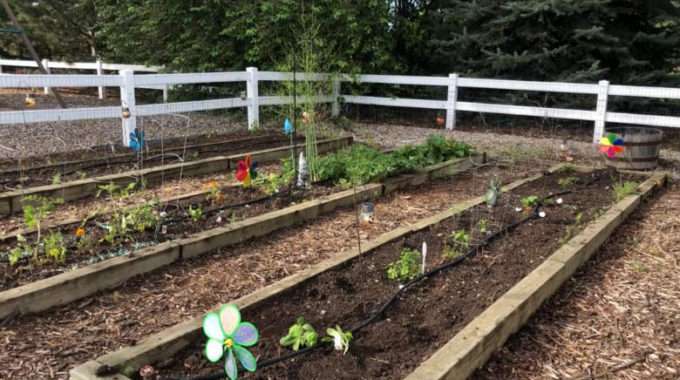 Great tips, I’ve tried companion planting for black fly and things like that. Luckily we don’t have a lot of trouble in our garden with rabbits and squirrels thankfully but I’ll pin this just in case we ever do. 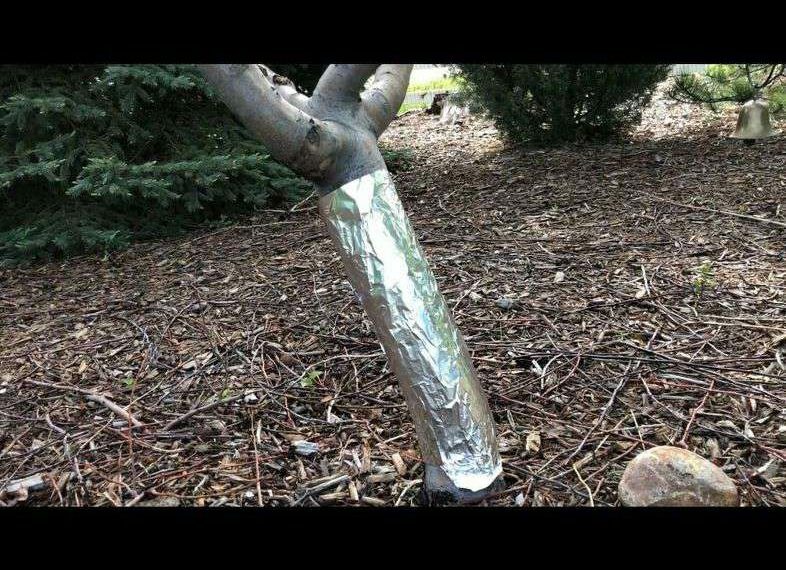 Great idea to wrap the trunk of the tree in foil – genius!!! Thank you so much Lee-Ann and I hope this comes in handy for you too. Chas, what a great garden setup you have. 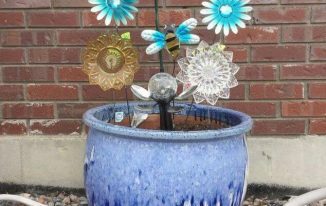 So many ideas to keep your plants safe. We will feature this on the next Blogger’s Pit Stop. 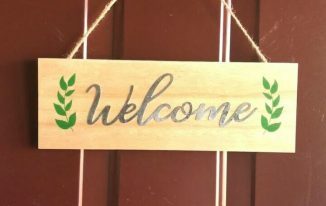 Thank you so very much Kathleen for the feature and thanks for hosting a wonderful place for all of us to share our creations. It’s so helpful to have all these great tips in one post! Thank you! Thank you Joy and I hope some of these help you as well. These are some great tips! I especially love the one about marigolds. I didn’t know that their smell deterred animals. Thanks for sharing your tips with us at Merry Monday this week! Thank you Marie, and thanks for stopping by. I have tried many of these. Physical barriers have worked best for me. A high fence kept the deer out. Hardware cloth in the bottom of our raised beds kept the gophers out. The raccoons and rabbits weren’t too greedy. I had it pretty easy for years until the ground squirrels found us. It took me a couple of weeks to discover who had been cutting my tomatoes down at ground level, one plant a day. Nothing was safe. The farmers at farmers market didn’t really have a solution. They had enough growing so a few plants weren’t going to leave them too short. I’ve never had very good luck with traps. Noise didn’t bother them. The cats left them alone. I did not want to bring in poisons. I finally gave up gardening at that location. It was becoming stressful instead of relaxing. It was easier and not too much more expensive to just buy my food at farmers markets. Thanks Barbara for sharing your story. I’m glad to hear that the barrier worked as long as it did. I’m so sorry to hear about the ground squirrels, what a pain. I love that you have used the local farmers market to relieve the stress for you. We have a farm we go to most falls that we can right on a hay rack and go to all the fields and dig out and collect produce. We usually do that for the fun, experience, and collecting as much as we can to get through the winter. Oh my word, what a great list of ideas! I’ve heard of some of them (thank you, grandmas who passed along the marigold tip! ), but some are completely new to me. I’m so glad that I could share some tips with you that might help others as well. Thank you so very much for the tip! I truly appreciate it. What great, easy, doable ideas! Pinning. Thank you so much Donna and thanks for the Pin. Any ideas for getting rid of chipmunks? Thank you Carol. I recommend putting fence like chicken wire around them. It’s inexpensive and should do the trick. Marigolds will keep grasshoppers away.